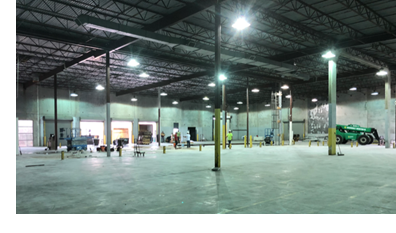 ​​​​ THE WOODLANDS – A 37,500-sf warehouse project is undergoing renovations to expand its leasing area to more than 57,000 sf. The property is located at 17027 S. Trade Center Parkway, The Woodlands. Tenants include North Water District Laboratory Services, Inc., Eskimo Insulation, a spray foam insulation company, and the business office of Olde Dobbin Station, a wedding venue in Montgomery. North Waster District Laboratory Services Inc. (NWDLS) office is renovating an existing 32,000-sf tilt-wall building. The company is also adding a 25,000-sf second floor. Estimated cost of construction is $2.8 million, according to TDLR. Woodsedge Properties negotiated and closed​ the original ​lease. ​​Have an exam? Need data quickly? Want to shine?